In June, Texas Stix Red beat Texas Stix Black in the Dallas National Qualifier to the 2018 Connie Mack World Series. In an unexpected championship matchup, Stix Black defeated Stix Red with strong pitching and effortless hitting. However, with a double elimination requirement, Stix Red (6-1) seized their opportunity and handily beat Stix Black (5-2) in game two. Stix Red secured one of 17 spots in the CMWS, the largest amateur baseball event in the nation behind the College World Series. The CMWS kicks off on Thursday, Aug. 2 with a city-wide parade, coaches’ fungo and home run derby. Pool play begins at 9 a.m. on Friday and the winners bracket is Aug. 6-11. For more information on the event and how to follow live, visit cmws.usapremiersports.com. 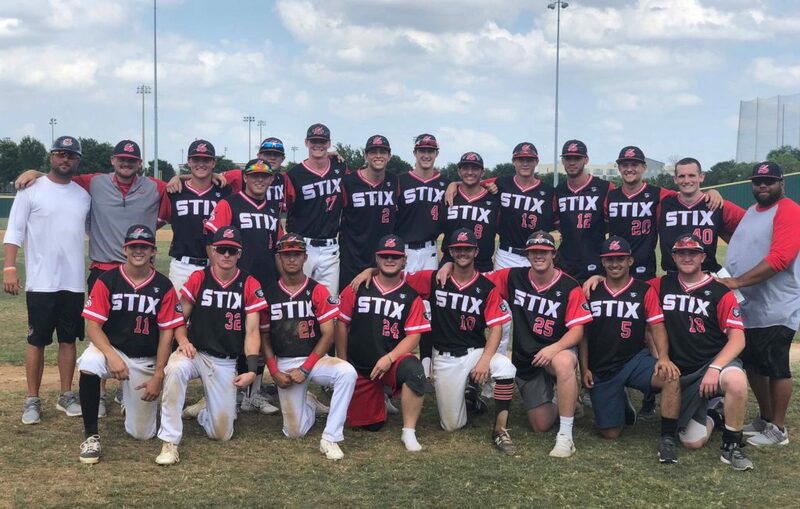 Five players were added to the 18-player Texas Stix Red team roster: Jake Smith and Chandler Arnold (Stix Black – Ray) and Mason Speaker, Jacob Speaker and Jimmy Crooks (Stix 2019 Black – Davenport). All 23 players are committed to play in college! The Texas Stix will be coached by Brett Ray. Ray will be assisted by Casey Johnson, Omar Turner and Travis Lance.